This article is 2521 days old. 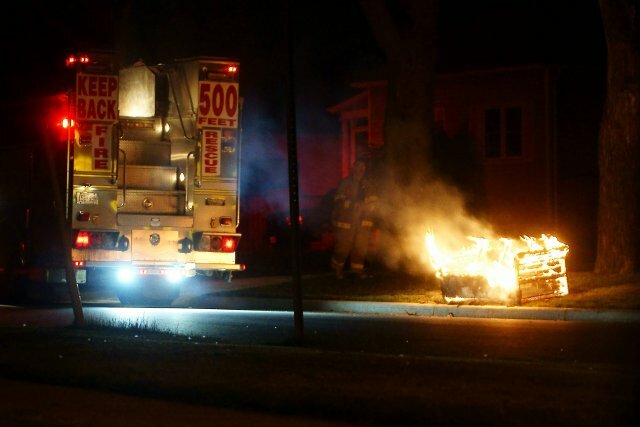 Windsor Firefighters were kept very busy early Saturday morning with three fires on Windsor’s West End. It’s unknown at this time if the three incidents are related, however Windsor Police are investigating, and all three are considered to be acts of arson. No one was injured in any of the incidents. Damage is extensive. Fire broke out in the “old gym” at Riverside high school around 6:15pm on Monday. Firefighters arrived on scene to find light smoke in the attic of the gym’s mechanical/storage rooms with fire likely in the roof. The fire was put out by 8pm and classes went on as scheduled Tuesday. The fire caused $50,000 in damage. Windsor police have identified the name of the deceased female who was found in the Detroit River at the foot of Caron Avenue early Sunday morning. The female has been identified as 59-year-old Patricia Morencie who resided alone in the downtown area of Windsor. Reader Nikki Ray alerted windsoriteDOTca that a Handi Transit Bus caught fire Thursday afternoon in the parking lot of the Village of Aspen Lake, a long term care facility on McHugh Street. The bus caught fire a short time after dropping off a resident at the facility. There were no injuries. Demolition of former University of Windsor residence building Cody Hall began Tuesday and continued into the week. It’s expected that it will take up to four weeks to completely clear the site. Parking Services at the University of Windsor is proposing increases for parking permits for the 2012/2013 academic school year. The proposed increase which went before the Board of Governors meeting Tuesday night is 5% accords the board.